As she walks off of the plane on a foggy day, the young, aspiring actress expects to meet people wearing boots and cowboy hats and carrying loaded guns holstered at the waist. “I was disappointed at it being so incredibly normal,” Bernadette Nason says, recalling her arrival in Austin in 1992. 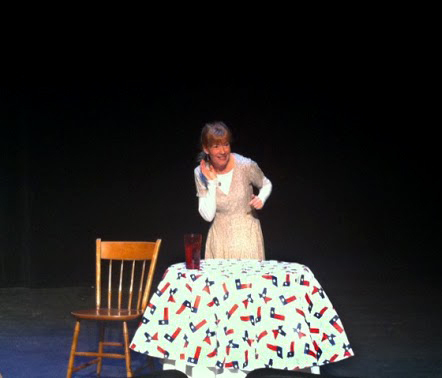 Through a 90-minute, one-woman show called Iced Tea in Texas, Nason tells the story of her life and how she found herself in Austin. An accomplished and respected actor, screenwriter and professional storyteller Nason grew up in England before spending 18 months in Northern Africa, five years in Dubai and then finally landing in the United States. Ultimately, Nason’s world travels led her to put roots down in Austin. She says she spent much of her younger life thinking she could “be someone different” in a new city. “I kept being horribly, horribly shocked to find that I was exactly the same person everywhere I went, and all my problems were much the same,” Nason says. The play outlines Nason’s first six months in the city, and viewers watch the story of her transformation from a horribly shy young girl with a dream to a confident young actress. Iced Tea in Texas is just one of the nearly 100 acts featured in the 21st year of Austin’s annual FronteraFest. Ken Webster, the artistic director for Hyde Park Theatre and a co-producer of FronteraFest, has been involved in with the fest since its beginning at Hyde Park Theatre in 2001 and has written and directed several featured pieces over the years. Webster describes FronteraFest as "strange, wonderful, funny and bizarre." “It’s the greatest arts incubator in the local theatre scene… where many local groups and actors got their start,” he adds. FronteraFest participants often go on to be Broadway actors, playwrights, directors and Pulitzer Prize winners, Webster says. According to Webster, the event is not only responsible for propelling the participants' success, but it also gives “most actors, playwrights, directors and Pulitzer Prize winners an economical way to produce a play in Austin." An actor can perform four shows in the festival for $450. Those four shows are also four chances to be picked as an audience or staff favorite to advance to the “Best of the Fest” round that is held every Saturday at the end of the week’s performances. When asked about Nason’s contribution to this year’s FronteraFest, Webster said it is “a great example of an established person in the local theatre and art scene showing some new material.” “It’s always good to have experienced individuals sprinkled in with the newbies," he explains. As someone new to Austin, Alvis says she feels comforted by this welcoming aspect of Austin. 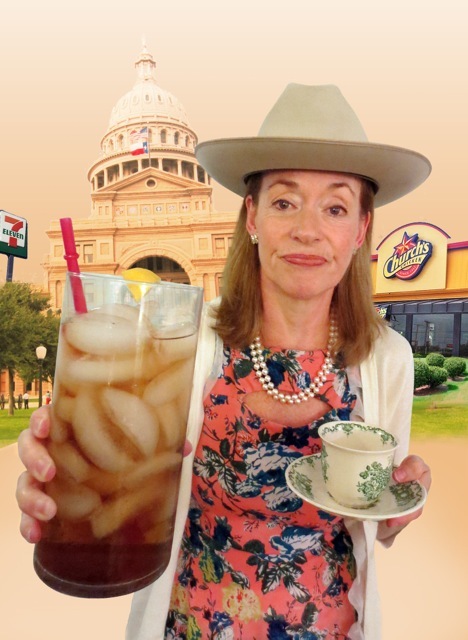 Nason agrees, citing this reason as one of the reasons she chose to stay in Austin and write Iced Tea in Texas. "I like gay friendly cities, I like culture friendly cities, I like politically diverse cities and Austin has it all," she explains. After seeing so much of the world, fame and fortune became less important to the artist, who instead valued her privacy and growth as an artist, which she found in the Austin theatre scene. “It was a breath of fresh air to me. Here was this experimental theatre scene and there was an idea that you could do anything,” Nason says with a smile. Although finding a gun-slinging cowboy in Austin might be hard, the city showcases a vibrant and unique culture. From inspired university students to accomplished artists growing into their craft, many Austinites share a story much like Bernadette Nason’s — a story worth telling.